After Hurricane Katrina demolished the neighborhood of New Orleans known as the Lower Ninth Ward, the city wanted to raze it and transform it into a green space of city parks and swamps. But residents, community activists and volunteers are still determined to rehabilitate the neighborhood and restore some of its original vitality. “The thing about the Lower Ninth Ward is its resiliency,” said Arthur Johnson, executive director of Lower 9th Ward for Sustainable Engagement and Development. Before the storm, the Lower Ninth, a working-class neighborhood, had one of the highest rates of homeownership in the state. But fewer than 30 percent of its residents have returned from the mass exodus that was the evacuation process. Still, residents have said their determination comes from being part of a community that has historically faced adversity. 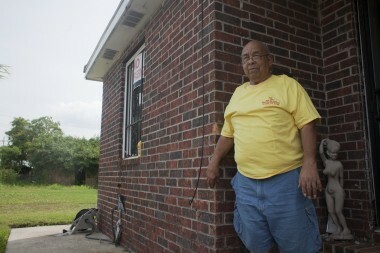 While other neighborhoods have been rehabilitated, the Lower Ninth has struggled. 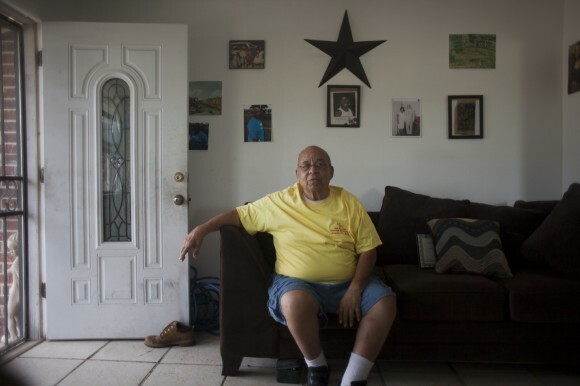 Many of the area’s residents feel that even now, some 10 years later, there is a lack of basic services, including healthful food options, public transportation and street repair. Mr. Irving lives in the only inhabited house on his block. He said that the neighborhood suffered from a larger neglect from the city: In April, he said, he witnessed dumping that he believed to be illegal. Even now, there is only one elementary school for the neighborhood’s population of 3,000. Before the storm, the Lower Ninth had about 14,000 residents. The city says it will complete construction on a high school by 2015. For now, many children who live in the neighborhood must be bussed into the city for schooling. The closest hospital, Interim LSU, is more than five miles away, although there are plans to build a private hospital nearby in New Orleans East. A further look into the area reveals abandoned homes and empty lots overgrown with grass. There are few functional businesses, and the service station, which offers a mostly fried menu, is one of the only local options for food. Ms. Gueringer, whose husband, Henry, recently suffered a stroke while repairing their home, worries about their distance from the closest hospital. Some parts of the Lower Ninth seem to be rebounding. Deslonde and Tennessee Streets in particular are dotted with an eclectic array of colorful eco-efficient homes built by Brad Pitt’s Make It Right Foundation. Closer to the bridge is the Holy Cross, a subdistrict within the Lower Ninth, which celebrates the traditional architecture and steamboat homes that New Orleans is known for. Over a dozen nonprofits have been established since 2006 to help the Lower Ninth. Their good intentions, however, have not always equaled success. Two years ago, Lil’ Wayne, a New Orleans native, opened a skate park inside the Lower 9th Ward Village, a neighborhood center, that was co-sponsored by Mountain Dew. But weeks after the park opened in September 2012, it was shut down over safety violations and has not reopened. The Lower 9th Ward Village, threatened with foreclosure since the shutdown, has sought to revitalize the area by providing after-school activities for children. Ms. Jones, a resident of New Orleans East, which was also devastated, sympathizes with the struggles of those who live in the Lower Ninth. She noted that her neighborhood, a few miles away, is just now starting to see a few shopping centers return. As time passes, fewer volunteers return to the area and it is getting harder to rally public sympathy and support to rebuild schools, roads and other necessities of everyday life. Laura Paul, the executive director of Lowernine, a nonprofit that has rebuilt more than 100 homes in the area, believes that it is an uphill battle to combat “Katrina fatigue,” or the idea that people are tired of hearing about and dealing with the residuals of the storm. Ronald Lewis, 62, welcomes help to the community, but he is reluctant to get his hopes up that any of those efforts will amount to much. Community organizations “go and pour out their hearts and come out with nothing but talk,” Mr. Lewis said. That, however, does not affect the pride he has for his community. 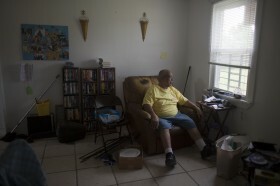 Mr. Lewis described the slow rebirth of the area as a realization of “the American dream” and said outsiders had a misperception of the neighborhood as impoverished, crime-riddled and derelict. “We have this special culture of doing things on the street,” he added. Mr. Lewis runs a small museum dedicated to local history out of his backyard and plays tambourine in a band that hosts periodic parades in the neighborhood.